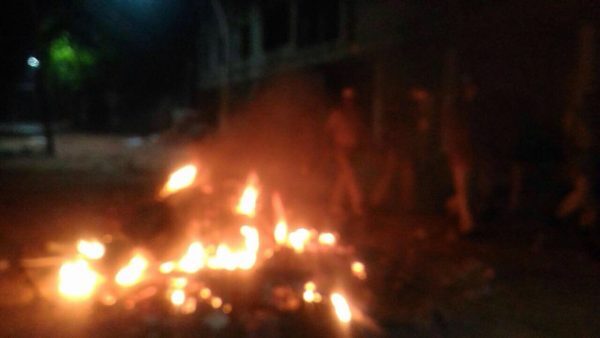 Sources say that the stone pelting started from Bhadkal galli around 9.30 pm and spread to neighboring gall’s like Chavat Galli, Jalgar Galli, Ghee Galli. 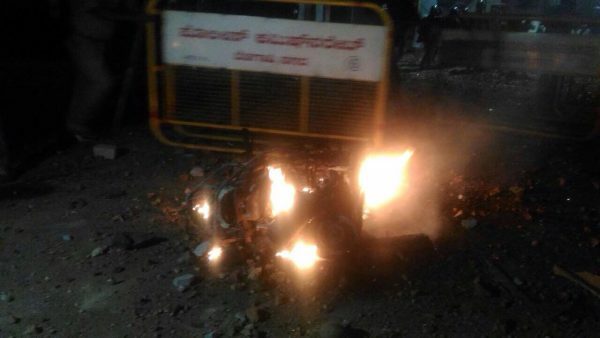 the stone pelting occurred between two groups and sources say the ones who started this stone pelting may not be from Belagavi locally. 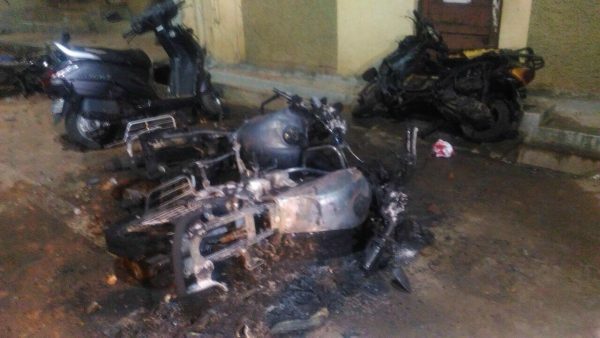 many bikes were torched and also police van was pelted stones with. 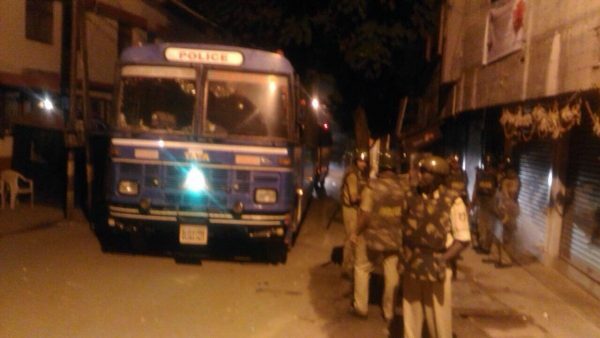 ACP was also injured in stone pelting. the police have reached the spot but the situation is tensed but under control . Tear gas was used by the police to disperse the crowd.